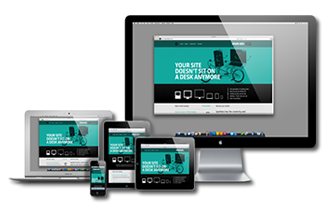 You may have heard all the chatter about the importance of responsive website design. You want it. You need it. Your business can’t thrive without it. Well, Upton Technology Group can provide it. And we can also answer a burning question you may have about responsive design: What the heck is it? Responsive web design means your website can be optimally viewed across a wide scope of different devices. That means mobile users can enjoy it without endless scrolling, text adjustments or awkward craning of the neck. Yes, you want it. Yes, you need it. And yes, your business is unlikely to thrive without it, especially since more and more people are turning to mobile devices for everything from browsing to shopping to booking their next hair appointment. One of the fundamental aspects of any website design is its compatibility with the broadest category of viewers. In the old-school way of doing things, this meant targeting desktop computer users. The target has now changed to mobile device users. Some websites may need a bit of tweaking to ensure they are compatible with mobile devices. This often applies to older sites, sites written in certain languages, or sites that double as content management systems. Sites that can’t be adapted with a few tweaks can still cater to mobile browsers with the creation of a mobile version of the website. Upton Technology Group can ensure your website is up to speed with responsive design. Contact us today for a free review of your current website so we can advise on your best plan of action.